The substance use evaluation is probably the single most important piece of evidence submitted in a Michigan driver’s license restoration appeal. Most often called a “substance abuse evaluation” (although that term is technically incorrect, even the Michigan Secretary of State, on its website, uses the term “abuse” rather than “use”), this official state form is really the foundation of a license reinstatement or clearance appeal. In theory, it represents a qualified clinician’s best professional estimation of whether or not a person is likely to remain sober. In this article, I want to briefly examine the evaluation and its critical role in the driver’s license restoration process. Even someone trying to blunder through a “do-it-yourself” license appeal will quickly learn about the evaluation form on the Secretary of State’s website. The SOS, through its Administrative Hearing Section (the “AHS,” formerly known as the “DAAD,” and not long before that, the “DLAD”), makes this form available for download and merely instructs that it must be completed by a substance abuse counselor. Here’s a quick, insider’s tip: most substance abuse counselors who do these evaluations with enough regularity to really know their stuff either have this form on their computer so that it will automatically space out correctly for the information that needs to be included (the “blank” form on the SOS website has 4 lines for “driving convictions,”) while many people have more than that. A few years ago, I had a client with 13 prior DUI’s (and I won his license appeal the first time around). Some counselors will create their own form that corresponds substantially to the state’s version; that’s okay. The problem is that just about every substance abuse counselor in the country will look at the evaluation form and immediately think, “I can do that,” without really understanding that the information sought by the state can be a lot different than one would likely surmise at first glance. A good example of how precise all this can be shows up right near the top of the evaluation form, where a person is required to list all of his or her convictions that involve alcohol or drugs; this doesn’t only mean alcohol or drug offenses, but rather any offense where the person possessed or had used alcohol or drugs. Sometimes, an old case can be overlooked, because, without proper guidance, it can seem that the whole license appeal process is focusing on just past DUI’s. The problem with forgetting about a prior conviction of some sort is that once the hearing officer discovers it, he or she will wonder if its disclosure (or lack thereof) may have made any difference to the conclusions reached by the evaluator. The way it works is that the hearing officer isn’t required to figure all this out, or, as I sometimes put it, doesn’t have to do the math. It is YOUR obligation to make sure that everything is listed properly and that your case is clear enough to not leave the hearing officer with any lingering or unanswered questions. You may have a great case with 999 reasons why you should win it, but a simple, omitted conviction raises a question that amounts to 1 reason why you shouldn’t, and that’s enough to ruin your appeal. Here’s another example: Notice how, next to the driving conviction lines, there is a space for “Bodily Alcohol Content or Drug Type.” Most people will think back and try and remember their BAC at the time of an arrest. Without fail, I have found that when pressed, very few people can say that the number they seem to recall is completely accurate. Many people remember what they blew at the side of the road, but that’s not your BAC. In fact, most people don’t really know what their BAC score was with the kind of certainty required here, and you cannot get this wrong. There is of course a workaround, but that doesn’t stop any number of evaluators, do-it-yourselfers and even lawyers from putting a “best guess” number in that space. If that number isn’t correct, then the hearing officer can wonder what, if any, difference it would have made to the ultimate findings of the evaluator had he or she been given the correct BAC score(s). Again, the hearing officer isn’t expected to figure this out and answer this question. Instead, it’s the very idea that he or she can ask it and that there is an unanswered question that means the evaluation, as a piece of evidence, is NOT clear and convincing. The takeaway here: Don’t EVER list a BAC score (from your actual police station breath test, or any blood test result) that you don’t know, with 100% certainty, to be correct. It’s not a problem if you don’t know it, because there is a built-in workaround, but it is a problem if you provide a number and get it wrong. With that as background, take a look at the section entitled “Lifetime Treatment History for Alcohol and/or Drug Use Disorders.” It looks like you’re going to need some kind of medical insurance records to provide even half of the information the form requests, and I just finished telling you that if you get your BAC score wrong, it can very well be “GAME OVER.” What is someone to do who simply can’t remember a class or program he or she may have attended, or a counselor he or she may have seen (perhaps by court order), 15 or 20 years ago? Relax. This part of things is very different. Many of my clients have no clue about these all or even any of these old classes or programs; this is why my first meeting with a client takes 3 hours, the bulk of which is to prepare to undergo the substance abuse evaluation. One of the biggest mistakes a less experienced counselor will make is to require that the person provide the information that seems (emphasis on seems) to be requested in this section, or otherwise leave the spaces blank. Again, there’s a workaround for this, but you won’t get it no matter how long you stare at the form. This level of attention to detail is required on every line of the evaluation from what we’ve already examined to the very last line, even though the level of detail that must be listed therein does vary from section to section. No evaluator or lawyer could get this without spending years in this field. It’s like flying an airplane; you can read every flight manual in the world, but you cannot safely take off in or otherwise land a jumbo jet until you’ve had extensive, real-world flying experience. As smart as anyone may be, the cold truth is that you perfect the craft of license appeals, if you’re a lawyer (and substance abuse evaluations, if you’re a counselor), over many years by making all the mistakes there are to be made and then learning from them. Think of learning to ride a bike; all the things you did right as you tried didn’t matter nearly as much as the things you did wrong that caused you to fall. You learned from those mistakes and eventually were able to ride upright. A hearing officer needs to be able to rely upon the evaluation as a clinically sound assessment of the person before him or her, but that assessment also needs to provide exactly the information the hearing officer wants, while not, to the extent possible, offering anything unwanted or unnecessary. A common and rather amateur mistake I see, when someone brings an evaluation they had completed for a prior, losing case (before they hired me), involves the evaluator putting something like “see attached” or “continued on separate page” on the spaces provided on the state’s evaluation form. There is generally never a reason to do this. As I noted, those evaluators who are “regulars” have the form saved on their computers as something like a PDF document and it will automatically make room for all the convictions a person has, or treatment he or she has received. In that sense, less is more…. Another common misconception is that an evaluation that provides an “excellent” prognosis is best, or certainly better than one that is just “good.” It may seem that way at first glance, but nothing could be farther from the truth. A prognosis of “poor,” “guarded” or “fair” will and must result in an appeal being denied. A loss for that reason is entirely the fault of the lawyer (or the person who “played” lawyer) for filing such an evaluation. The problem is that too many counselors lack enough experience to understand that, to the hearing officers deciding these appeals, the experience and integrity of the evaluator is always at issue. In the real world, very few people deserve an “excellent” prognosis for continued and lifetime abstinence. It is just often assumed by clients, evaluators and lawyers alike that “excellent” is better, and therefore more helpful than “good,” even though that’s dead wrong. “Good” is good enough. “Excellent” is fine for the person who has been sober for 24 years, has outlived his or her first AA sponsor, has 2 or 3 of his or her own sponsees, and runs the annual 4th step retreat for his or her AA home group. In that sense, the person with just 4 or 5 years of sobriety may be a good enough bet to remain sober, and therefore deserve a “good” prognosis. “Good” is always good enough, but “excellent” is almost always trouble. It should be noting, coming off the example I cited above, that AA is absolutely NOT necessary to win your license back, and the vast majority of my clients are not in the program, although some have gone in their past, even if only briefly and/or by court order. Again, AA is not necessary to win a license appeal, and I put my money where my mouth is on this one, because I guarantee to win every license appeal case I take. The substance abuse evaluation is the foundation of all evidence filed in a driver’s license restoration case. You need a lawyer who understands this from the inside out, and who knows how to prepare you for it. 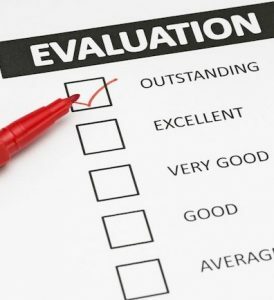 After that 3 hour first meeting in my office, for example, I pack my clients off the evaluator with my own form, called a “substance abuse evaluation checklist,” just to make sure the evaluator gets every bit of relevant information necessary to accurately and completely complete the state’s form. You also need to be evaluated by someone who understands the intricacies of the license appeal process, and who knows what information the hearing officers want, as well as what they don’t. You need to make sure that your foundation is solid, because if it isn’t, and no matter how genuinely sober you may be, your case will collapse as the evaluation crumbles, and you’ll have to wait another year to try again. If you are seeking the restoration of your Michigan driver’s license, or the clearance of a Michigan hold on your driving record for a revocation for multiple DUI’s and/or substance abuse related driving convictions, I can help. Beyond merely paying my legal fee, I require that a person be genuinely sober, but in exchange, I provide a guaranteed win. Even if you’re not yet clean and/or sober, perhaps I can help you tip the balance in favor of sobriety so that, down the road, as you put your life back together, you can legally get back on the road. Whatever your situation, we’re here to help, and you can reach my office during regular business hours (8:30 a.m. until 5:00 p.m., Monday through Friday) at 586-465-1980.